Ever wondered what the ramen shop is like before the hungry crowd comes in? Let’s take a step behind the scenes at Ejji, and find out! The day usually starts off around 9AM for the kitchen staff, but that’s not the start of the actual food prep. There will most likely be some items in the oven or soups on the stove that have been slow cooking overnight. 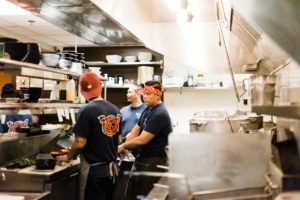 There are between 8 to 10 kitchen staff who come in to begin prepping each day, and it takes everyone working together as a team to really make the Ejji magic happen. So, What Needs To Get Prepped? A lot of love goes into our dishes here at Ejji Ramen, so a lot of patience is also required. Many people don’t realize just how long it takes to make ramen, especially the broth. For instance, our tonkotsu broth requires at least 8-12 hrs to be prepared. 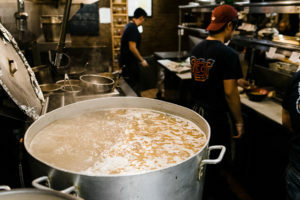 It starts with boiling pork marrow, or bones until all the delicious pork flavor is released into the water, creating the thick and creamy tonkotsu broth that everyone loves. 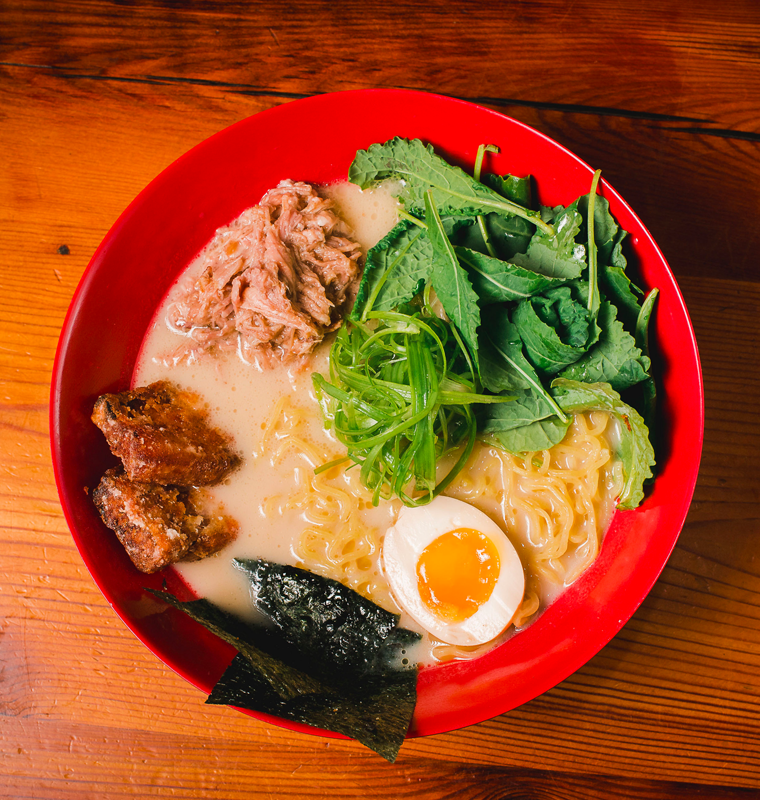 Click here to read more about our classic Tonkotsu Porky Ramen, which is our #1 crowd pleaser. The Ejji Ramen staff might seem like your typical restaurant staff, keeping it professional at the front of the house. 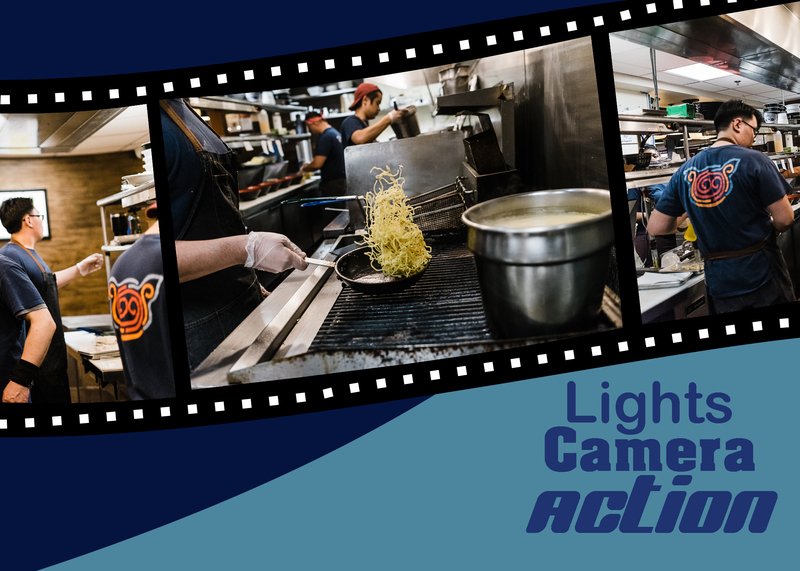 However, in the kitchen, the staff like to play around and have a good time, always keeping up the positive energy. If you took a step into the kitchen, you would hear music blasting. usually on something with comedic levity to ease the tension and try to get in a zone”. Because there is a wide range of musical preferences, they’ll rotate playlists from each employee. It ranges from jazz to 80’s, rock, pop, hip hop, house, or even EDM. Occasionally, if the right song comes on, everyone will just break out into song, which is fun. 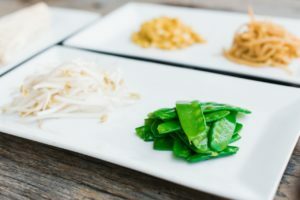 Some kitchen favorites are Michael Jackson, Snoop Dogg, Biggie, Jay-Z, or an old school “feel good” song from The Temptations, James Brown or 4 Non Blondes.